Random House Trade Paperbacks, 9780812979657, 352pp. Compared favorably to the works of Faulkner and Dickens, Arundhati Roy’s modern classic is equal parts powerful family saga, forbidden love story, and piercing political drama. The seven-year-old twins Estha and Rahel see their world shaken irrevocably by the arrival of their beautiful young cousin, Sophie. It is an event that will lead to an illicit liaison and tragedies accidental and intentional, exposing “big things [that] lurk unsaid” in a country drifting dangerously toward unrest. 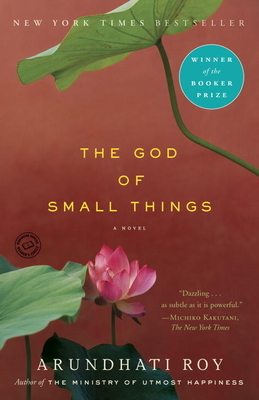 Lush, lyrical, and unnerving, The God of Small Things is an award-winning landmark that started for its author an esteemed career of fiction and political commentary that continues unabated. Arundhati Roy was trained as an architect. She has worked as a production designer and written the screenplays for two films. She lives in New Delhi. This is her first book.